This weekend had two holidays making it a four day weekend, with the Mid Autumn Festival (sometimes known as the Full Moon Festival) and National Day falling together. 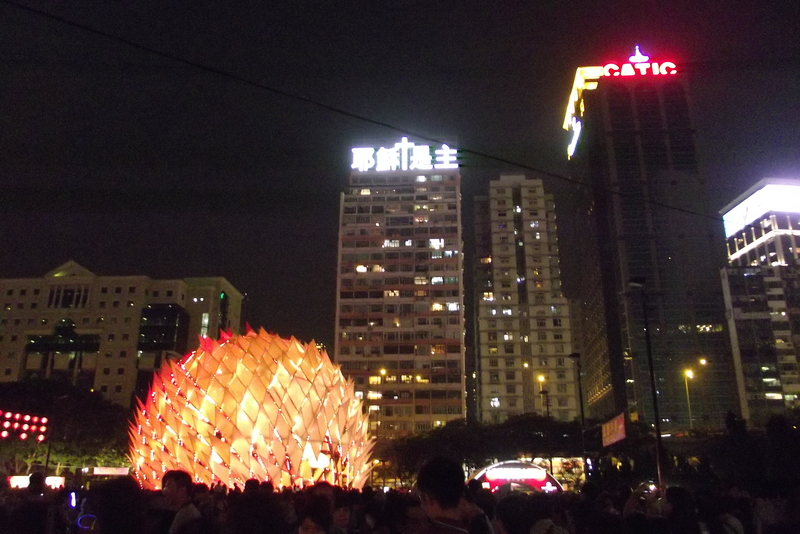 And my Trini friend Laura, who has just moved to Hong Kong and still has the enthusiasm of the newly arrived, suggested we go to Victoria Park to see the famous Lantern Festival. Usually this is something I would avoid due to my severe aversion to crowds but I figured this is my fourth year here, and I figure I should see it at least once in my life before writing it off forever. Truth be told, it was a bit of a disappointment, and a surprise, considering that it is a very popular and famous ‘festival’ that is widely advertised as a great tourist attraction. Or maybe I was just expecting too much? 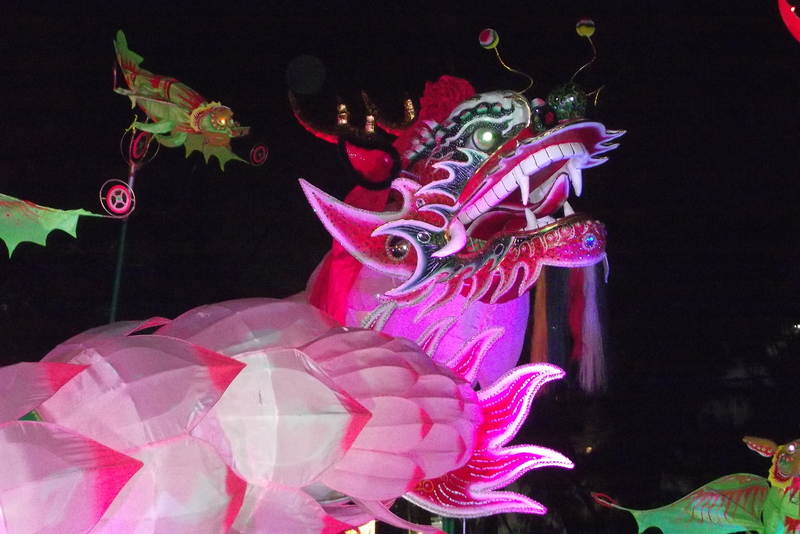 I had seen images of the Lantern Festival before, so was expecting Victoria Park — which is about the size of the Oval in Trinidad — to be full of lots and lots of different kinds of beautiful Chinese lanterns on display in phantasmagorical designs and shapers to make you oooh and aaah. Instead there were only THREE lame-assed displays: one huge durian-looking thing with about 50,000 people crowded around it, so you know which one I avoided getting close to; a nice looking dragon (but you know what they say about the adjective ‘nice’); and a sort of pavilion with orange lanterns. And that was it! And that was about it, really. 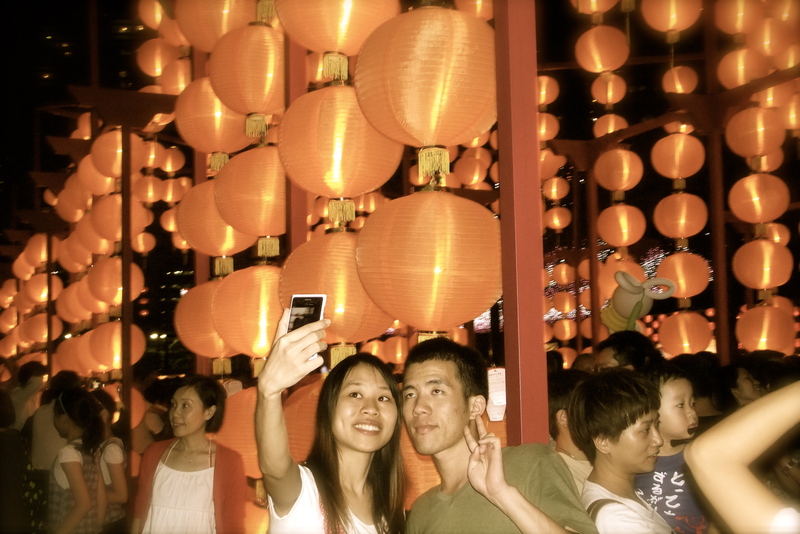 Then I realized the real purpose of the Lantern Festival is not to display lanterns, but to SELL lanterns (this is China, after all). There were only three displays, but stall after stall after stall selling cheap lanterns for parents to buy for their kids. Everywhere little kids walked around with flashing Doraemon lanterns, goldfish lanterns, and what not. Very disappointing indeed. Laura and I went to the information booth where two very friendly young Chinese guys greeted us with smiles. The two guys looked at each other a bit perplexed before turning back to us. Okaaaay then…. Lantern Festival is officially a write-off then! Anyway if you are a tourist and thinking of going to the Lantern Festival, let me give you a word of advice — SKIP IT!!!! Sort of like divali nagar. I have never been and do not intend to go either. Thanks for showing the “dragon” anyway. It was something different then we’d see in Alaska.